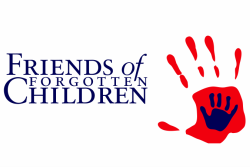 Friends of Forgotten Children is a 100% volunteer-run provider of food, clothing, self-help classes and holiday gifts. Without the generosity of time and spirit of our incredible troupe of volunteers, FOFC would not exist. Eleanor Still began Friends of Forgotten Children over 40 years ago in the basement of her Bow home. Why? Because her friends and neighbors needed a little something extra to get them through the holidays and she was willing and able to give them a hand…a hand up, not a hand out. Because of supporters like you, we are able to continue to serve the needs of at-risk and low-income families and individuals in the greater Concord area. The need in our region is great and growing every day. Currently, one of our greatest needs is volunteers. Volunteers to support and serve the cause you hold near and dear to your heart. The reason that Eleanor began this mission still exists. Can you spare a few hours to help out? If you are willing and able to volunteer your time, please email, call (603) 753-4801, or use our information request form.